Greetings and welcome! This blog (much to this blogger’s surprise) recently passed it’s 5th birthday and this post is # 250 for the blog. Five years…I honestly hadn’t even realized that I have doing for that long. That’s 5 years that I been writing about anime, cons or other random topics. That’s 5 years that I have been interacting with a subset of the geek community that I didn’t even know existed until then. That’s 5 years of my life that I have put myself out there, expressed my opinions, and let the world know that I exist. That’s 5 years of experiences which have changed who I am as a person. And of course that’s 5 years of wonderful anime that I have had the opportunity to enjoy along with the fine members of this community. Of course these are noteworthy milestones especially for a small time blog like this one so I felt I needed to write something to mark the occasion. I feel that something simple and a bit personal is appropriate for this occasion. While tempting…I’m not going do this. Despite the title, I’m not here to gloat about my writing or my world changing pieces of work that took the internet by storm. The reason is that such pieces don’t exist. This blog is barely even a blimp on the radar compared to many of the blogs or sites out there and I am not going to pretend like it is. I am also not some flamboyant internet personality who has his own brand and makes a fortune off of what I do. And honestly, that’s ok. I didn’t decide to do this for glory or internet hits. So I think the best way to approach this for me is to simply tell you what these 5 years have done for and meant to me. Also I will just give some overall thoughts on the experience that I have had writing this blog. This is not fancy or spectacular but this seems like the best way to do it. The power of the glasses is real. To better understand the importance that this blog has had for me, I guess the best thing to do is to briefly explain why I even started blogging in the 1st place. I have to begin with saying that I always been a nerd. As a kid I enjoyed comics, Star Wars, and video gaming. As an adult I added other forms of gaming, anime, and manga to my list. I have lived in my hometown my entire life and while it is a nice place to live, it is not the most nerd friendly place. I also have always had a difficult time making friends and can count on 1 hand the number of romantic relationships that I have been in in my life. Needless to say that discussing things like anime with other people is something that is difficult for me. Of course, I am always looking for outlets to speak with like minded people. This was something that I was always looking for. In 2014, something changed. At the time, I was just starting to discuss anime and looking to discuss anime with anyone I could to get recommendations for series to watch and to get a feel for the community. Well an outlet appeared for me. A friend of mine was into blogging and suggested that I give it a shot. He even let me author some posts on his blog to help get my feet wet. From there history was made for me. As many of you can guess the name of the blog is an homage to one of my favorite characters in anime Mikoto Misaka from A Certain Scientific Railgun. The series as many of know is special to me, it was one of early series as an anime fan and at the time it was one that I felt many weren’t really talking about. As such I felt that honoring the series and it’s heroine with the blogs’ name was a great idea. The experience of blogging has been absolutely amazing to me. When I started I was both a rookie at blogging and still pretty much an anime noob as well. Over the course of the last 5 years, I have not only become a huge anime fan but also a more experienced writer and person who has more confidence in taking part in a community. I am proud to be a part of the community and proud of what the blog has accomplished. I didn’t start the blog with any sort of intent to be a success. Heck, I figured that no one would actually care to read what I had to say. I can remember those early days when I saw that I had site views and was absolutely amazed. That feeling grew when I had my first interactions via likes and comments from everyone. I will certainly admit my early blog posts were insanely rough around the edges. So to see people say that my thoughts were cool was a real surprise. Again, I never expected anything like that to happen when I started 5 years ago. The writing process can be frustrating at times. It certainly has been an interesting ride since then. This blog has gone through many changes over the years. I have attempted many different things, most of which were either hard to write, didn’t fit who I was as a fan and writer or just didn’t garner any interest. With each no thing I learned a little more about what I liked as a fan and how I should approach writing. I found that the things that many of you write such as weekly reviews or graded series reviews just didn’t work for me. I love reading those things but for me writing them just didn’t work. There were also times when just writing anything was hard due to a bust life schedule or simply a lack of anything that I was excited about at the moment. There were times where the process of crafting an idea and writing felt like a lot of work. However, when the time came to resume blogging and the inspiration struck, I have always felt a sense of excitement. These posts have been a way for me to create something and to share something with the world and anyone would get excited at that opportunity. Writing my own blog and reading others has really given me a sense of clarity when it comes to my thoughts on a series or movie. I sometimes found myself reading someone else’s point of view and realizing that I looked at something wrong. I also found when writing my own pieces that I either loved a series/movie or not as much as I thought. The processes of writing and reading really help to put things into perspective for me. Entertainment is best when the experience is shared among a group of people as each brings their own take and ideas that you might not come up with on your own. Being able to discuss an anime with other people by reading other’s works or receiving commentary your own ideas only heightens the experience. I’ll admit I still feel like I have a way to go when it comes to blogging. I still put out some things that just don’t feel polished or I feel could have done better. I am still small and probably will always stay that way. I can’t do this full time nor do I have the ability to rally people around anything I do but knowing that I have the ability to make my voice in whatever capacity is exciting to me. These last 5 years and 250 posts have all been a fun experience for me. This small yet awesome ani-blogging community has been an absolute pleasure to be a part of. Because of it, I have the opportunity to interact a bunch of amazing people, got to see some things from a new perspective, got to check out amazing anime that I otherwise might have missed, and have had a chance to make my voice heard. These milestones are not possible without the support from the community. I know I say this a lot but thank you all for your continued support and your amazing content. I am honored to be part of this community and to have interacted with so many awesome people. I would not have the confidence to keep going with this blog without you all. Thank you for an awesome 5 years, for liking and commenting on 250 blog posts and for being an awesome community. On that note, I think it is time to sign off. Stay geeky my friends and see you soon! Re: your first image: Poor Uiharu! She seems to have forgotten she’s wearing pants. But, well, Saten’s Saten, so I suppose it’s understandable. This might sound odd, but you know how in the sub Kuroko has this cranky almost old lady voice? I love that. It gives her such character! What a great series to use as your site’s namesake! “Dear my Friends” remains one of my favorite songs of all time. Not only that, but Railgun S contains one of my favorite scenes of all time — across all media. So I certainly can’t fault your taste! Five years. That’s amazing! Congratulations! Man, that feels familiar! Isn’t it great we have this community now? Glad you pushed through those times. If there’s one thing I’ve learned (and truth be told, I’m not sure I’ve learned even this!) is that the struggle to get words out of my head is what’s important. Is it work? Is is play? An act of reverence or defiance? Doesn’t matter. Write. Then write again. Then keep writing. You’ve hit year 5, so I think you’ve already got that figured out! That you for producing content. I really enjoy reading it. And I hope I don’t sound hyperbolic, but you’ve probably noticed we’re in a bit of a difficult time. That means sites like this are more important than ever. You never know when someone, sick and weary of the seemingly constant flow of negativity, might happen on your writing, and find a moment of peace and enjoyment. I don’t think it’s possible to overstate just how important that could be to someone. Yeah I love Saten’s face in that image. Pure mischief there with that one. 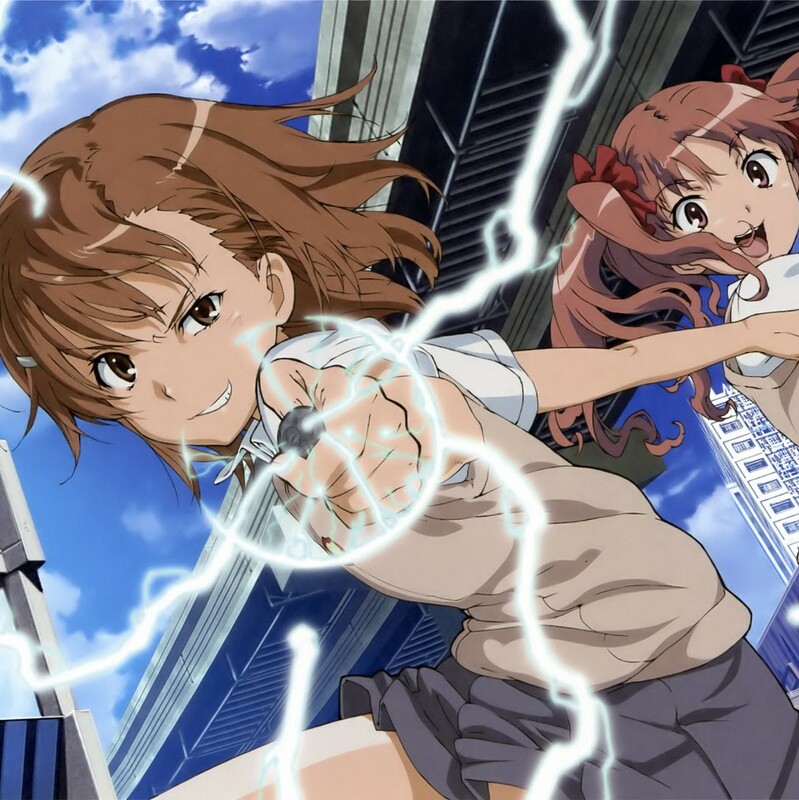 Railgun has such amazing music and theme songs to it. Dear My Friends is a great song and that ending animation sequence to go with it is superb. And I could list off so many great scenes and moments from that franchise that I could be here all day writing it lol. It is great that we have this community and the means to interact with fans all over the planet. I am still amazed to day that we can do this. I agree that this is a dark time for most fandoms right now and honestly it just saddens me. I think that we are so lucky now to have all this entertainment at our disposal. We also the ability to chat and interact with other fans so easily. Because of that being upset about something trivial just doesn’t make sense. Thanks for your continued support and hopefully you will enjoy what I have in store for the future! Thanks. Hopefully I will be around for 250 more posts. Also, thanks for your support of the blog. It is much appreciated! Congratulations!! I never knew you’ve been around for so long. Thanks! I’ll tell you it doesn’t feel like 5 years. Thanks for the support! It is really appreciated! This entry was posted on March 18, 2019 by railgunfan75 in Anime and Manga and tagged 250 post, 5 Years, anime, community, thank you. Weiss Schwarz Star Wars Update 8-24-16- The Force is Not With Us!